Is Your BMW 8 Cylinder Puffing Blue Smoke? Your 8 cylinder BMW is burning oil and puffing blue smoke out its exhaust at an alarming rate and it has you freaked out right? It should. It’s a serious problem…but there are solutions. 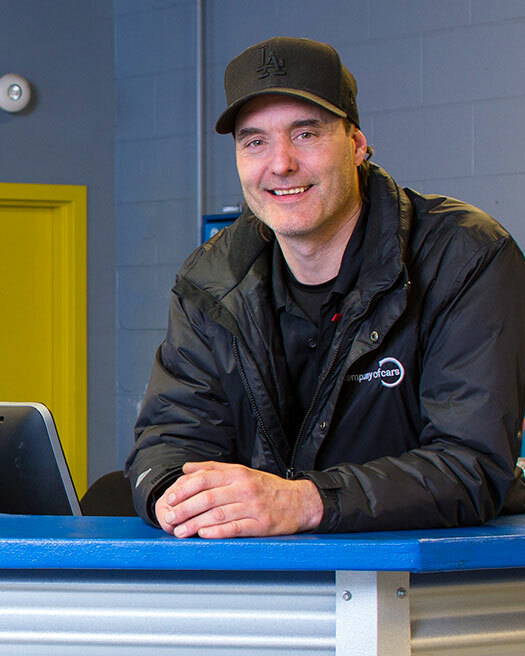 If you’ve found your way to this page, you’ve probably visited a BMW dealer in Vancouver or the Lower Mainland and that BMW dealer may have even given you a pretty scary quote to fix the issue. Valve Stem Seal deterioration is a common problem that we see all the time and it’s not your fault. If you Drive a BMW equipped with an 8 cylinder engine for long enough, chances are, eventually you will need the valve stem seals replaced. This problem affects BMW’s with 8-cylinder N62 Engine (2003-2008), and N63 Engine (2009-2013): such as 545i, 550i, 645i, 650i, 745i, 750i, 750li, and BMW X5. The first thing you might notice is the engine oil level decreasing over time. Bad valve seals will cause a large amount of oil consumption. By monitoring the oil level on the oil dipstick a noticeable loss of oil because of the oil being burned along with the fuel can be discovered. Valve stem seals are located on the intake and exhaust valves. A valve regulates the amount of fuel and air mixture that is allowed within the cylinders for combustion. Valves have guides or sleeves to keep combustion gases from passing through. A seal on the top of the valve keeps oil in the valve cover from being submerged into the engine. Seals are usually made of high concentration rubber and fit over the top of the valve stem inside of the small neck. When valves are functioning correctly they allow some oil to pass and lubricate the valve stem and guide. They also prevent larger amounts of oil from seeping into the combustion chamber and causing excessive amounts of oil to burn. When the valve stem seals get older and the rubber ages, the valve stem seals can’t provide the proper seal between the seal and stem. This starts allowing oil to collect on the valve stems. Over time the excess burning oil causes valve carbon build up. The added oil consumption and excess smoke aren’t the only issues. It’s very bad for the environment. If the problem isn’t fixed it can also decrease your catalytic converter life, foul spark plugs and cause engine light and emission system issues.. If you think your BMW is burning or consuming too much oil due to faulty valve stem seals let it idle for at least 30 minutes. Once it’s hot, press the accelerator to the floor and quickly rev the engine for a few seconds. If a big plume of blue smoke billows out of the exhaust you probably need your valve stem seals replaced. The earlier this problem gets detected, the less damage the issue can cause to the emissions system and catalytic converter. It used to be that the only way to fix this problem was to extract the engine or remove the cylinder heads and replace the valve stem seals with new ones (there are 32 valves – 4 per cylinder). Removing the engine and dismantling it requires tremendous knowledge and is very labour intensive. It would be common to see dealers quote in excess of $10.000.00 to correct the problem. Our service team has experience with this repair. By using special over head cam tools we can repair the valve seals without removing the motor or cylinder heads. We can save you thousands of dollars in repair costs. While the vehicle is disassembled we can also inspect and repair other possible issues that may be present. This repair can be done in conjunction with repairs like oil leaks at the front timing covers, valve covers, VANOS or variable timing solenoids, internal water tube and vacuum pump. These repairs can also be done at a fraction of the dealer cost. Give our service department a call today and get a free quote to repair valve stem seals for BMW N62 or N63 8 cylinder engine!